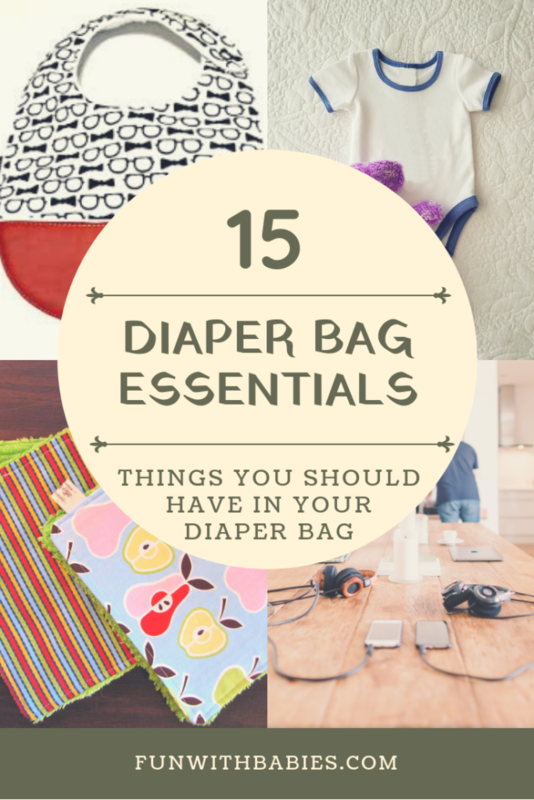 Once you have a baby, Diaper bag and all the diaper bag essential items is a necessity!! All the moms reading this will know how beneficial having a diaper bag is!! Diaper bag will be your new style symbol once you have a baby and you need to go out. Confused on what all things you might need when you get out with your kid? Let me walk you through a few items that are must and few extra items which you might need to carry when you go out with your baby. Pack all the items and be prepared for all the scenarios that can happen with your baby. Make sure to note down all the items, so you do not forget anything. Diaper bag checklist: What do you need in your diaper bag ? The first and the foremost thing that comes to your mind when you are thinking of going out right? Yes, you need to have at least two extra diapers in your diaper bag when you go out. You can never tell when the baby might have a go at it two times. It is a better idea to put on a next size diaper for your baby. Consequently this will give you more time till the next change. If in case you use cloth diapers for your baby it is a good idea to carry significant extra ones considering your baby’s normal pee and bowel schedules. Read more about diaper change here. You cannot find a sink everywhere on the go. Hence carrying baby wipes in your diaper bag will be very helpful. You can not only use it to clean your baby’s diaper are but you can clean high chairs or seats your baby might be placed on. You can use the wipes to clean baby’s face if it is dusty outside. Make sure you use fragrance and alcohol free wipes for your baby. This will keep the skin soft and supple. Adding to this benefit, you can also use the wipes to clean your face since it is alcohol free it is safe to use when you need one. It is a must have when you have to change your baby’s soiled nappies. You know you can trust your changing mat, even if you think the surface it is placed on is not clean. 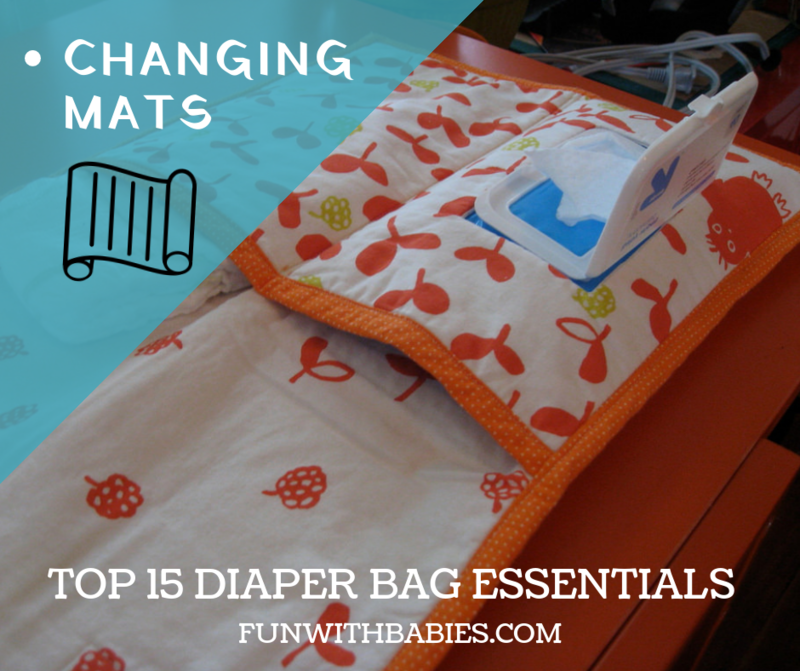 Changing mats generally are provided together with diaper bags but in case if your baby is a wriggly and active baby, you may need to buy a big one. Having bags handy will make sure you can put the soiled nappies into this bag and save your diaper bag or car from the stink. Having extra bags can also help you put used spoons or bottles etc to go home and clean it. What I generally do is I pack the soiled diaper in waste newspapers and then put it into a plastic to avoid any incidents in my diaper bag. Your baby needs to be fed at the right time. Maintaining their schedule helps them be happy and calm. So for this when you are out, pack a needed amount of baby formula (if the baby has not started solids yet) or baby food (if your little one has started on solids). If you are exclusively breastfeeding your baby, you might want to take a wrap with you for feeding when you are out. You can also pack a little snack for yourself. A new mother should always keep a healthy eating habits and maintain the timings. Make sure you pack a bottle for you baby if he needs to be fed baby formula. Also take a bowl and a spoon if you feed your baby solids. Clean and keep it ready for use when your baby is ready to feed. Sometimes when a baby is hungry she cannot even hold on for one minute. Carry a burp cloth if you don’t want to spoil your dress. Carry a bib if you don’t want to spoil your baby’s dress. Before giving food to your baby you must clean and sanitize your hands. The same goes after changing your baby’s dirty nappy. You can also clean your baby hand if some unknown person touches or kisses the baby on hand. You need to be sure that your baby is always hygienic to avoid any infections. You must carry a baby cream for your baby in your diaper bag. You never know when the baby might need to be moisturized. After sanitizing your baby’s hand apply baby cream to keep skin soft and healthy. If the weather is dry it is a good idea to keep applying cream after a few hours (In case you are planning on staying out long). Sometimes your baby can develop a nappy rash, diaper cream will help you reduce it on the go. Once you go home you can treat it well. If you have a baby, you know there will be lots of episodes of throw ups, spit ups , leaky diapers when you least expect it. To be on the safe side you should have extra pair of clothes for your baby. Sometimes because of high stimulation everywhere when the baby goes out, he/she tend to become a little cranky. You can lift their mood by offering them their favourite toy. It can even be handy if the baby does not like the car ride or a lack of your complete attention. If your baby decides to have a nap you might need a baby blanket to keep him covered. Also if the weather is slightly cold, having a blanket can keep the baby warm. You need to starighten your hair out when you are carrying your baby. Babies seem to love pulling at mother’s hair. Thus spoiling all the setting or neatness we expect to look when we go out. Carry a comb and make up items required for a touch up. You will end up using it every time. Whatever you do, never forget these items. Generally fixed items in your personal purse needs to be there on this diaper bag too. Needless to say, you can have more than one diaper bags. When your baby becomes a toddler and starts running around you need a backpack diaper bag. Normal ones for grocery store visits etc. You can have it in different sizes so you can pack it according to your trip whether short or long. 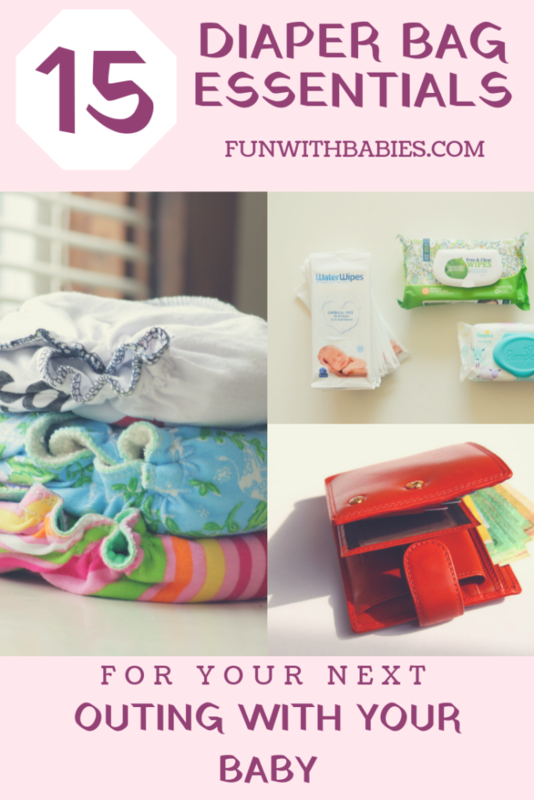 It is good idea to keep your diaper bag ready in the cupboard with most of these items. This helps you save time when you have to go out. Thank you for reading the article! Spread the word among all the parents you know!! Download FREE PRINTABLE for your own DIAPER BAG ESSENTIALS – Checklist. Please let me know if you have any item which you think is a must have in the diaper bag in the comments section below.